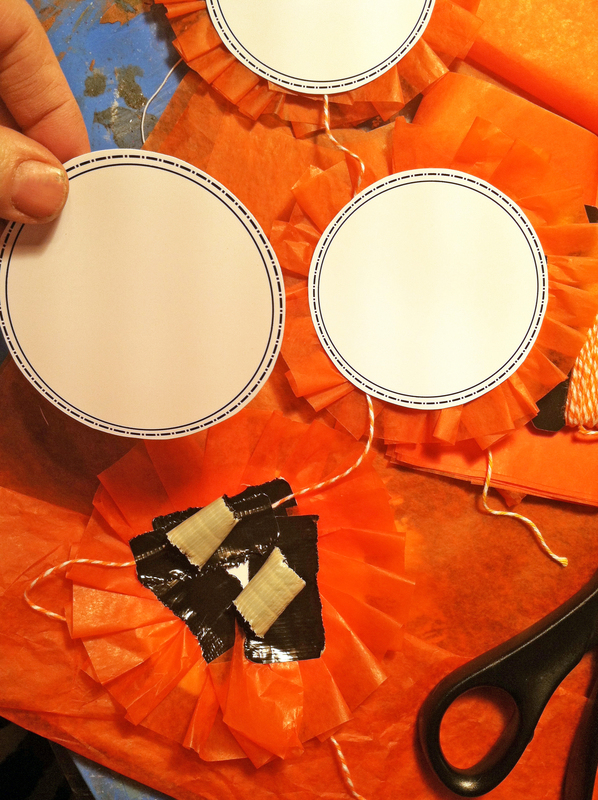 Charming Victorian Gothic Halloween Garland DIY – Plus FREE PDF Template! I LOVE Halloween! 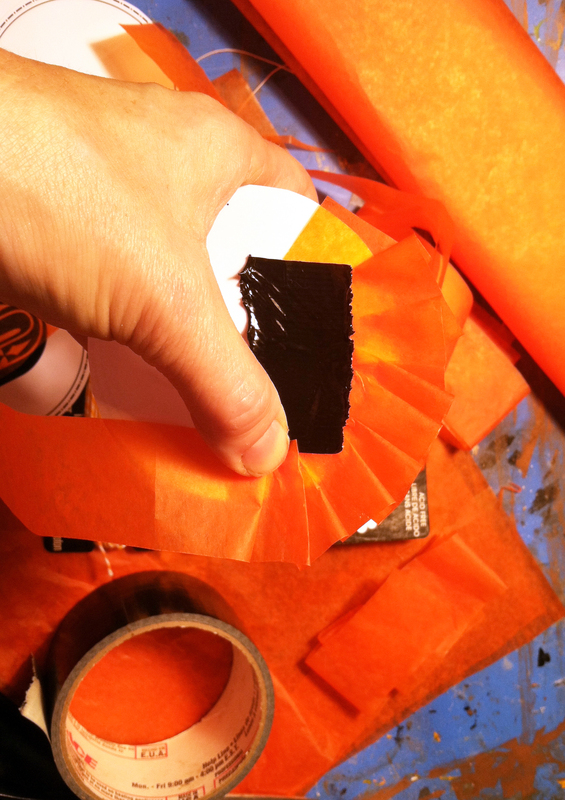 I’ll be doing a bunch of fun Halloween DIYs for decor, food, and fun, so FOLLOW the blog and you won’t miss a thing! 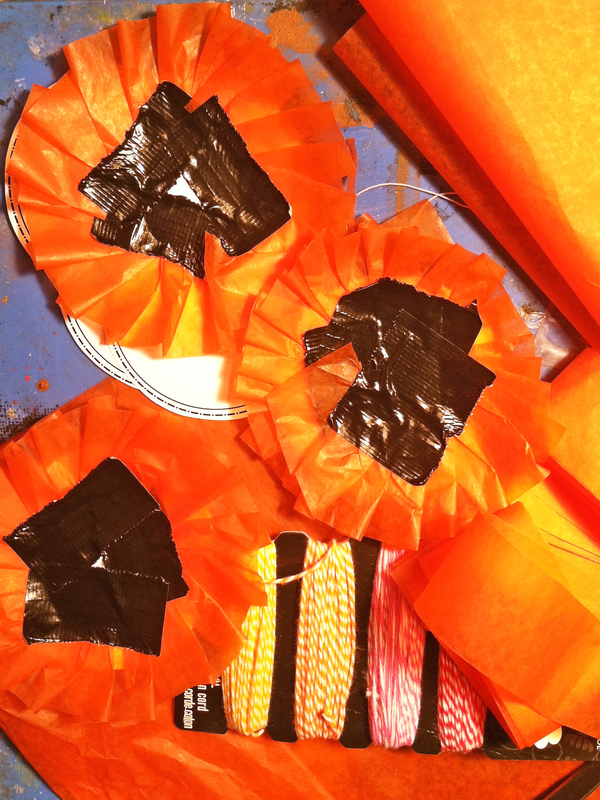 This Halloween Garland is super easy, cheap, and fast to make! I love the look, it goes perfectly with our old Victorian house. 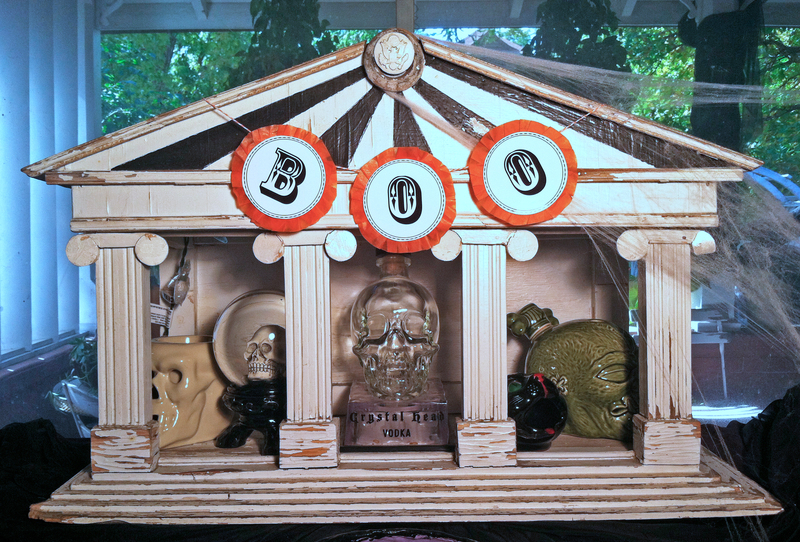 Here’s how I did it, there’s a downloadable PDF a the end for you so you can make it, too. 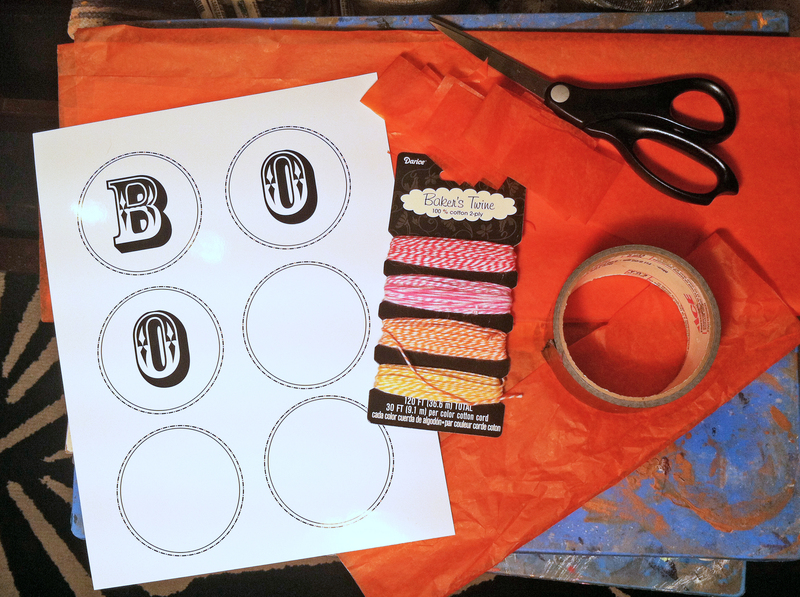 Then cut out the letters with a sharp pair of scissors or an Exacto knife, leaving a little white around the black circle lines. 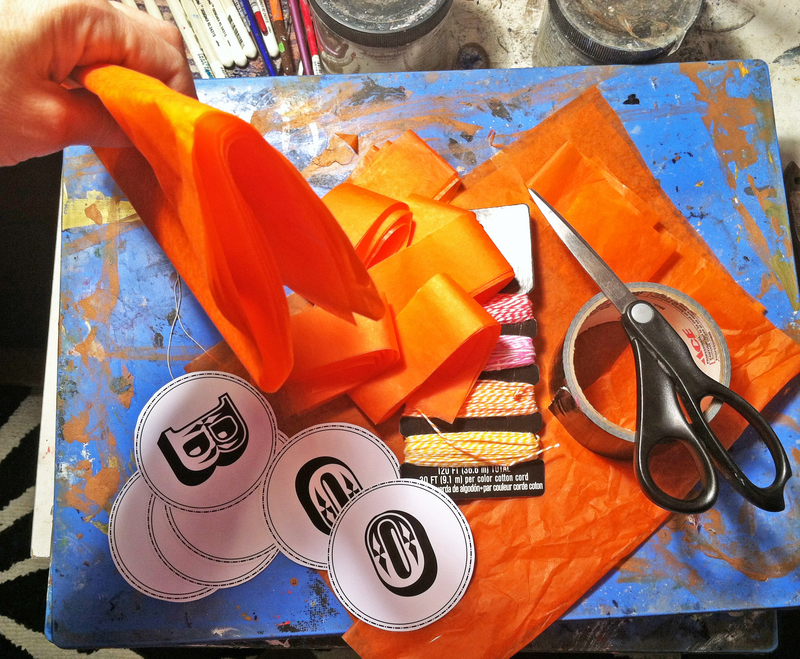 Note: You’ll have more control and get a better cut (not to mention avoid wrist fatigue) if you hold the scissors steady and move the paper your cutting into instead of your scissor hand). Then cut your tissue paper. 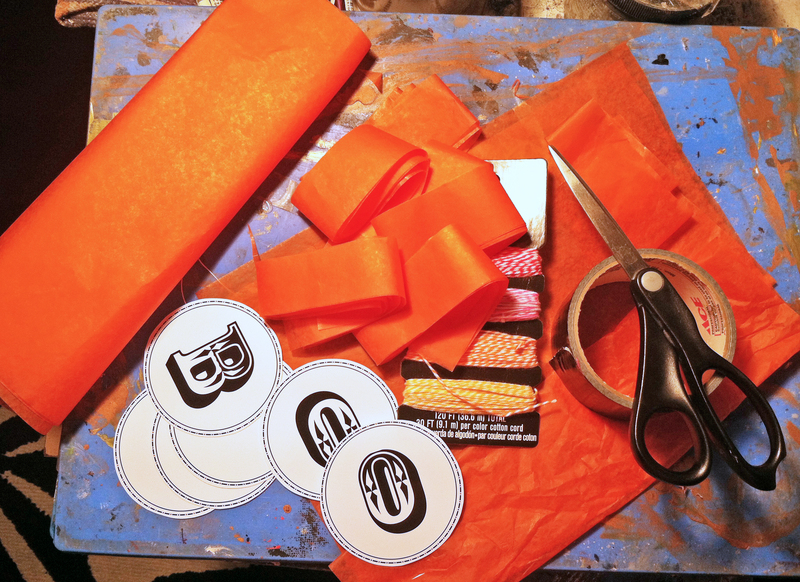 fold it gently over on itself a few times the long way until it is about 4″ wide, then cut into strips about 1″ wide. You’ll use about 1 1/2 strips per letter. Now it’s to assemble your garland. Duct tape! Does it get any easier than that? Finally, a project without glue-gun burns 😉 Tear off a few strips of duct tape (I used black, but any color will do, you won’t see it when it’s finished) about 1/2″ wide and have them ready. Now hold your letter circle in one had, and fold a strip of the tissue back and forth accordion-style along the rounded edge with the other, overlapping the paper about 1/2″, holding it in place with your thumb as you go. Don’t worry about being exact, or even neat, you can trim off uneven parts later. Get about 1/3 of the way around, then tape the tissue down to the paper. Do that twice more until it’s all the way around, Easy-peasy. At this point turn them over and see how they look. Trim the tissue to even it up if needed (I had to). Now it’s time to attach your baker’s twine (or whatever string-like think you decide to use). Cut it longer than you think you need it, and be sure to account for the ends, keeping in mind how you’re going to attach it to hang. Be sure your letters are upright on the front, then rip off a few more pieces of duct tape and tape the twine onto the letters about 1″ down from the top. 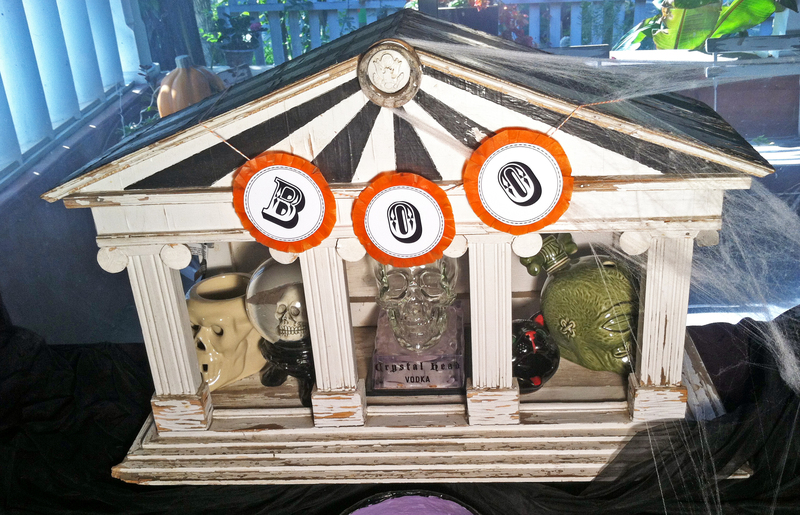 I love the way this looks, so perfect for our Gothy-Victorian Halloween Decor. 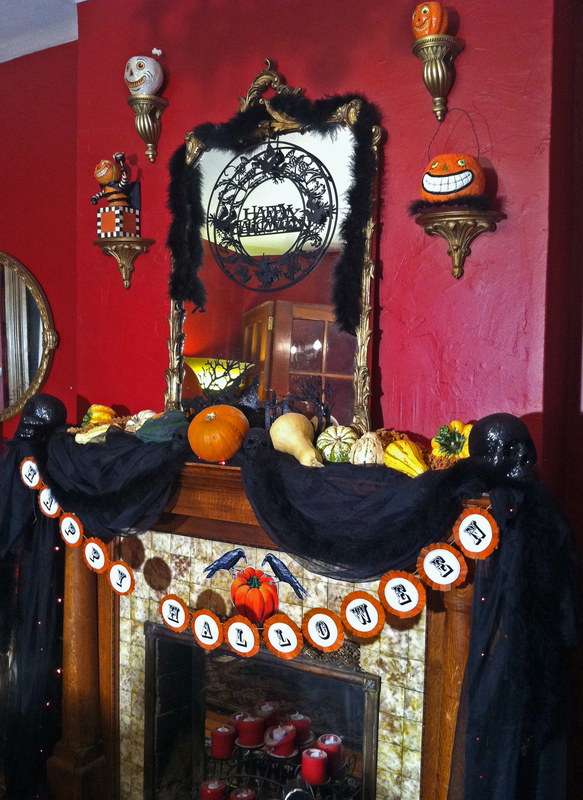 And here’s a sneak-peak of the mantel… I’ll be posting pictures of all our Halloween decor over the next couple weeks! 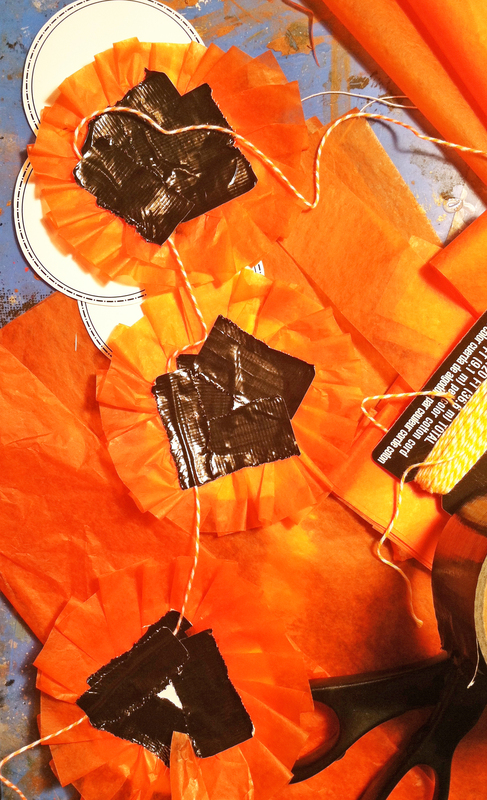 This entry was posted in decorating, DIY, Halloween, home, lifestyle, Uncategorized and tagged budget, decor, decorating, DIY, Garland diy, gothic halloween, Halloween, Halloween Decor, Halloween garland, Halloween garland diy, old-fashioned halloween, saving, victorian halloween, victorian halloween garland. Bookmark the permalink.